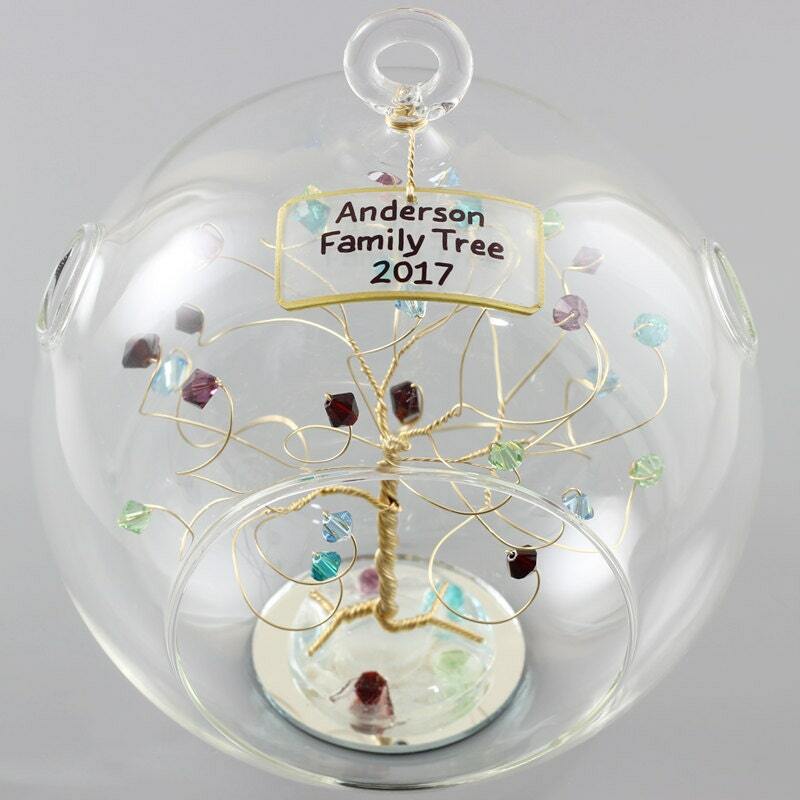 Family Birthstone Ornament for 2018 personalized with the family name and year! 1. Each month your family has a birthdate followed by the number of people in that month. 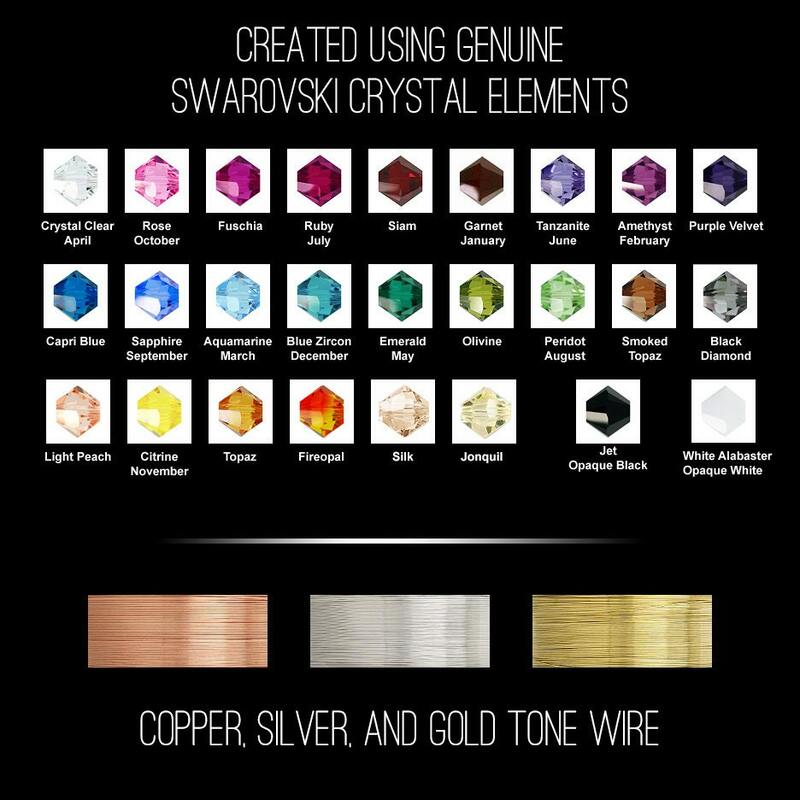 EX: Jan 2, Mar 1, Dec 4 - Limit 30 birthdates and stones will be mixed evenly on the tree for each person. 2. Up to three lines of text with 18 characters per line including spaces. You can say anything you like! Please provide your complete text as you would like it to appear on the ornament. 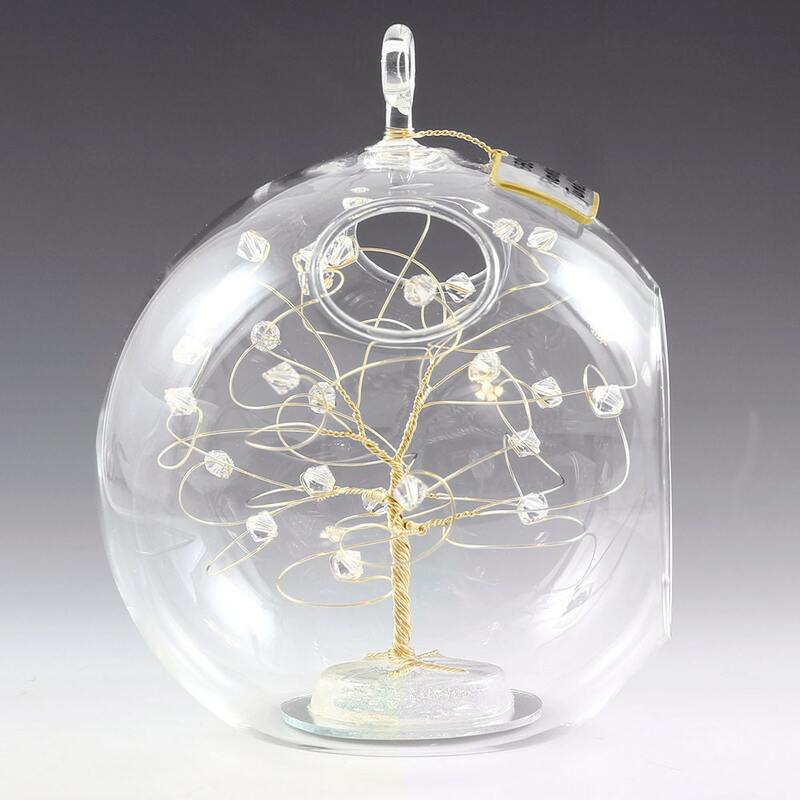 The tree is created using genuine swarovski crystal elements, silver copper or gold tone wire, and a glass terrarium ball. The 5.5" glass terrarium ball features a flat bottom, a hanging loop, and has two holes at the top which are shown in the photos. The sign is handcrafted from acrylic, curved to fit the ornament, and is attached with matching wire. 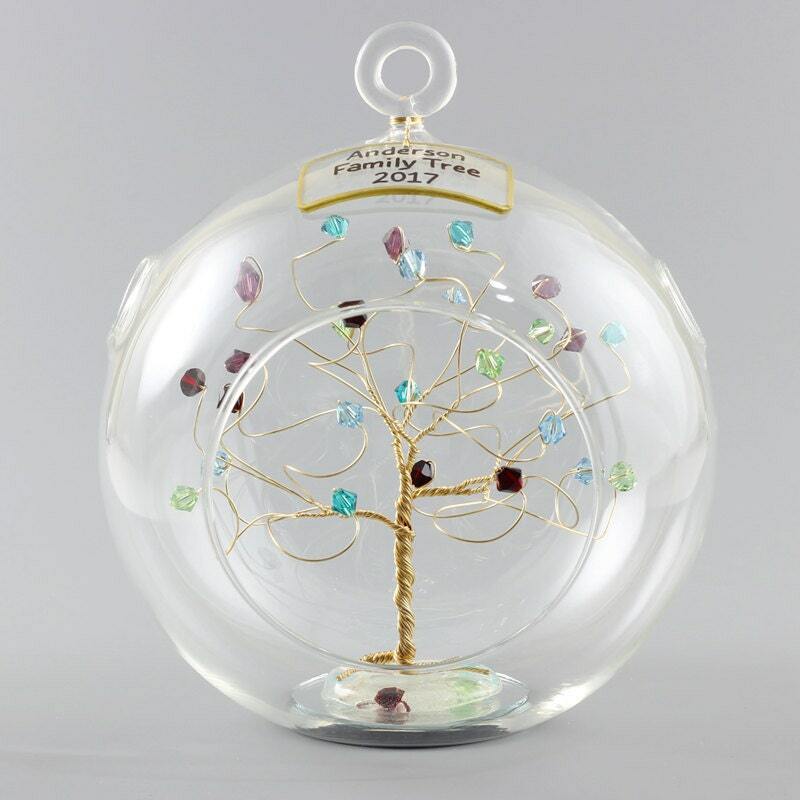 The tree base is resin and matching gemstones on a small mirror. Every glass ornament is individually boxed for gift giving then boxed again with more padding for shipment. Your order will ship with plenty of packing material to protect it. We ordered several family tree ornaments and they are gorgeous!! Thank you!